Why does Seikagaku Corporation operate Glycoforum®? Seikagaku Corporation has been developing along with the progress in glycoscience. 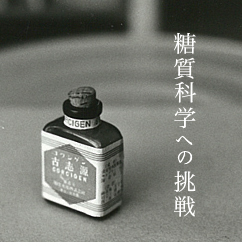 We are a unique company with a corporate identity of “basic research based on glycoscience,” as shown by our creed of “we create safe and useful products for human well-being with basic research based on glycoscience.” Within Seikagaku Corporation, passion for glycoscience has been passed down through generations. Under this philosophy of emphasizing basic research based on glycoscience, we operate Glycoforum® as a purely academic site with an intention to fulfill the responsibility of a company serving to develop and reciprocate glycoscience. I would greatly appreciate your further guidance and encouragement. 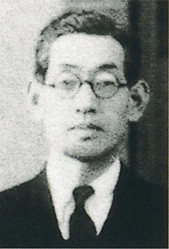 The Mucopolysaccharide Study Group was organized mainly by Professor Fujio Egami (Nagoya University), Professor Hajime Masamune (Tohoku University), and Professor Yoshio Oshima (the University of Tokyo), and Seikagaku Corporation and Kakenyaku-kako Co., Ltd. (current KAKEN PHARMACEUTICAL CO.,LTD) jointly provided grants-in-aid for the Study Group in their efforts to help mucopolysaccharide science develop. The Study Group provided a basis for exchange of glycoscience researchers in Japan, later developing into the Japanese Society of Matrix Biology and Medicine and many study groups of the Ministry of Education, Science and Culture, leading to the creation of various research projects. 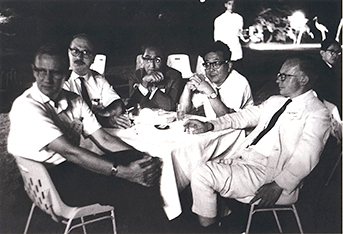 In August 1967, proposed by Professor Tamio Yamakawa (the University of Tokyo), Professor Ikuo Yamashina (Kyoto University), and Professor Sakaru Suzuki (Nagoya University), the mucopolysaccharide-related international symposium “Korinkaku Symposium” was held under the sponsorship of Seikagaku Corporation. At the Symposium, 73 and 42 researchers from inside and outside Japan, respectively, actively participated in research presentations and discussions. In September 1981, proposed by Professor Sakaru Suzuki (Nagoya University), the “Proteoglycan Meeting” was held under the auspices of Seikagaku Corporation. The Meeting took place in Hakone for 4 days and 3 nights, attended by approximately 50 proteoglycan researchers invited from inside and outside Japan. 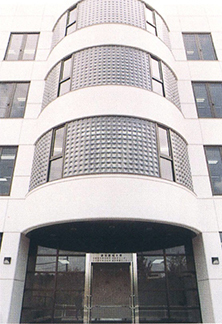 In 1988, the Institute for Molecular Science of Medicine was established in Aichi Medical University, with a donation from Seikagaku Corporation. After foundation, Seikagaku Corporation continued to assist the Institute by financing equipment and research and dispatching several researchers. 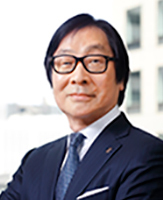 Mizutani Foundation for Glycoscience was established in 1992 with the personal property of Seikagaku Corporation’s former president Masakane Mizutani. The aim of this Foundation is to contribute to the welfare of mankind through promotion of glycoscience mainly by distributing grants-in-aid for original studies by glycoscience researchers both inside and outside Japan, encouraging international exchanges, and organizing carbohydrate-related academic meetings. Since its establishment, the Foundation has been inviting applications for grants-in-aid for basic studies in the field of glycoscience from around the world and providing grants to research projects that have passed rigorous screening. Agreeing with the intent, Seikagaku Corporation continues to support these activities. Proteoglycan Forum was launched in 1997 with Professor Masaki Yanagishita (Tokyo Medical and Dental University) acting as representative caretaker, with support of Glycoforum® (Seikagaku Corporation). The Forum has been providing seminars ever since to offer opportunities to exchange state-of-the-art research information and verify research resources. From 2013, when Professor Masayuki Ishihara (National Defense Medical College) took the position of representative caretaker, to 2018, a total of 28 seminars were held. Glycoforum® was recommended by Nature Reviews in July 2000. We welcome your comments on Glycoforum® and articles.